Blog | World Shipping, Inc.
Dennis “Doc” Mahoney retired from his position as Vice President, Operations after 24 years of service with World Shipping last year, which leaves me with some very large sails to ﬁll. Thankfully his unique ability to ﬁnd creative solutions and his dedication to the shipping industry were something he passed along to me since taking the helm in 2017. I am thrilled to lead the next generation of innovation and to continue World Shipping’s contribution to the Great Lakes ports and the maritime industry. The beginning of the World Shipping voyage started in 1960, when the St. Lawrence Seaway opened and our founder, Jack E. Hunger, recognized the need for vessel operations. We quickly grew into the leading vessel husbandry company in the Great Lakes shipping industry. Jack’s innovation and success stemmed from a dedication to superior customer service, and we continue that legacy today by creating customer-based solutions. We continue to understand the importance of that ﬁrst and last mile. We are continually improving efﬁciencies for our customers around the Great Lakes by having a one-stop-shop with our company. World Shipping’s advantage in the logistics market stems from the ability to coordinate and connect its subsidiary companies, each of which specializes in aspects of the supply chain. Many people—upon hearing ‘logistics’—think the implications of what we do starts and stops with transportation. While that is certainly a part of it, there are many different aspects to this industry. 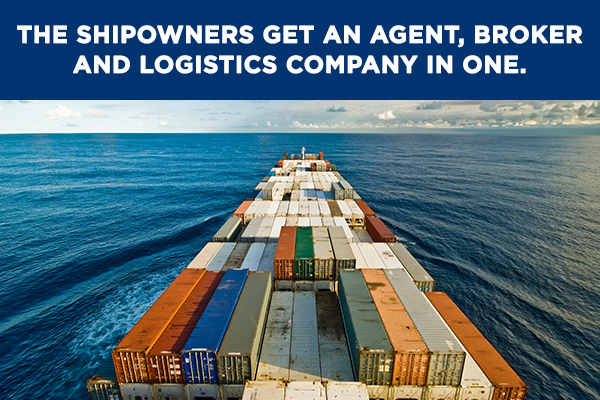 One of World Shipping’s newest examples of innovating the last mile is done by partnering with our sister company, UWL, LLC an asset-based global forwarder. UWL created efﬁciencies for our customers by coordinating the customs brokerage services for us. A customs house broker (CHB) is a critical service provided by logistics companies to ensure that import cargo is correctly cleared with U.S. customs. They are licensed by the U.S. Treasury Department after passing a rigorous written examination and an extensive background investigation. This is a service we couldn’t have provided on our own, but could easily add through the expertise of UWL. Today, UWL is no longer just clearing traditional containerized imports and air-freight, but are now clearing the international bulk vessels coming into the Great Lakes. This type of service takes on a whole new level for their brokerage team and opens a new opportunity previously not being explored. Our big advantage is that we work seamlessly internally, we know the exact movement of the vessels and our customs brokerage team is just down the hall from my team, so we all work in unison. Most importantly, keeping it all in one company makes efﬁciencies for us and for our customers. 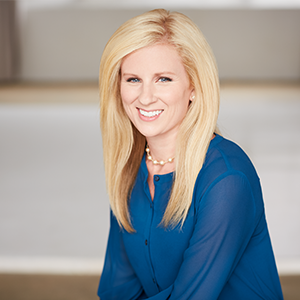 Jackie Csiszar is the Director of Vessel Operations for World Shipping, Inc. headquartered in Cleveland, Ohio. World Shipping, Inc., a World Group Company, is the Maritime Concierge for Canadian and U.S. Great Lakes ports. The World Group includes World Shipping, Inc., ContainerPort Group, UWL, LLC and World Distribution Services. Special thanks to Harbor House and the Great Lakes Seaway Review for featuring our article! in	Jackie Csiszar / People / World Shipping, Inc.
CLEVELAND, OH – January 4, 2018 – ContainerPort Group, Inc. (CPG) and ASF Transportation Group, LLC (ASF) are pleased to announce a merging of the two enterprises effective January 1, 2018. The combination of CPG and ASF will form an intermodal drayage powerhouse with over 1,300 power units in most key markets east of the Rockies. “Kudos go out to Tim McNamara, head of the Transportation Infrastructure Practice at global search firm of Odgers Berndtson, who led the search process,” said Hunger. Prior to ASF, Michael worked with Southern Cal Transport, and also many years with Schneider National. The combined company, to be operated under the ContainerPort Group brand, will be comprised of 24 terminals, 1,300 plus trucks, and over 400 professionals. With this merger, the company remains focused on providing superior service to fulfill customers’ needs in intermodal drayage, depot, truckload and brokerage operations. The merger involves only the Intermodal/Transportation arm of the ASF Group. The Forwarding/Ocean Division, trading as ASF Logistics and ASF Global, will remain independent and under the existing management structure. The combination is effective January 1, 2018 – and the two companies will work, in parallel, until such time as it can provide for an orderly combination of the operations. ContainerPort Group, headquartered in Cleveland, Ohio is a leading service provider to the containerized cargo shipping industry and is celebrating its 47th year of operation. Today, CPG provides intermodal container trucking, inland CY Terminal and transloading operations, warehousing and logistics, and container repair, modification, sale and rental services. ContainerPort Group, headquartered in Cleveland, Ohio, is a leading provider of services to the container shipping industry and is celebrating over forty-five years of operation. CPG provides both motor carrier services and terminal services (container depot, CY, equipment maintenance) to ocean carriers, railroads, shippers/receivers, and freight intermediaries. CPG operates facilities and terminals in twenty distinct geographic markets throughout the Midwest, Ohio Valley, Northeast, Southeast and Gulf regions. CLEVELAND, OH – October 30, 2017 – ContainerPort Group, Inc. announced today that its President and long-time company veteran, Russel A. Graef, passed away on October 26, 2017. It is with great sorrow that we share the loss of one of the intermodal industry’s founders, pioneers and collaborators. It was Graef and his team’s vision to provide customers with nimble and responsive intermodal solutions – a concept which took off, propelling CPG to become a leading provider of container drayage throughout the United States. “Russ was a visionary long before the term was widely used in our industry. We are all very fortunate and blessed to have had him as a fearless leader – one who always led by example,” states Jim Kramer, Senior V.P. Midwest, embracing Graef’s legacy. Throughout his career, Graef was also very active in a number of industry associations. ContainerPort Group’s CFO Glenn Fehribach states, “Russ was also a tremendous contributor to the trucking industry, serving on various boards and committees, offering unique perspectives and passionately challenging the status quo! I will sorely miss Russ’ passion, partnership and friendship.” Graef held leadership roles with the Intermodal Association of North America (IANA) and served on the Board of Directors of the American Trucking Association’s Intermodal Motor Carrier Conference (IMCC). He was also a founding board member of the North American Chassis Pool Cooperative (NACPC). Graef’s enduring ambition for ContainerPort Group was to build a visionary company dedicated to providing innovative cargo transportation and freight services while delivering the highest level of customer service available in the industry. We will continue on with his legacy, embracing the unique culture he created that will sustain us for many years to come. Notes of remembrance can be sent to the company at info@www.worldshipping.com. CLEVELAND, OH – August 22, 2017 – World Shipping, Inc. announced today that Dennis “Doc” Mahoney has elected to retire from his position as Vice President, Operations, after 24 years of service with the company. Mahoney has worked in the maritime industry for over 40 years and has spent his career as a vessel agent with Great Lakes Overseas, worked as a stevedoring foreman at Great Lakes International, and managed the Cleveland office of Fedmar International. Since 1993, Mahoney has lent his talents to the World Shipping team, where we have all benefited from his persistence and dedication to finding solutions. Mahoney enjoyed the diversity of the job, stating, “it takes an appreciation and understanding of what it takes to get the job done to realize the importance of everyone’s role.” He was instrumental in expanding the vessel operations department in Chicago, and more recently in Hamilton, Ontario (Canada). With the leadership of Jackie Csiszar, Director of Vessel Agency Operations, World Shipping will continue its success as the maritime concierge for all Great Lakes Ports. Since 1960, World Shipping has been active in serving shippers and receivers of international cargo operating in multiple segments, including vessel agency operations, freight forwarding, ocean freight, trucking, rail operations, warehousing and distribution, bulk liquid international logistics, and customs clearance. Headquartered in Cleveland, OH, The World Group includes World Shipping, Inc., ContainerPort Group, UWL, Inc., World Distribution Services, and NewPort Tank Containers. in	North America / People / World Shipping, Inc.
CLEVELAND, OH – June 19, 2017 – The global shipping industry lost one of its early pioneers recently with the passing of Jack E. Hunger. Hunger, a graduate of the US Merchant Marine Academy (Kings Point) in 1957 went on to form World Shipping, Inc., one of the industry’s pioneering companies in the Great Lakes Vessel and Liner Agency business. Over the years, World Shipping represented many premier liner companies in the US Midwest. The company now has a global reach through its forwarding operations (UWL), and is active in the warehousing (WDS) and trucking (CPG) sectors though its subsidiary operations. Notes of remembrance can be sent to the company at info@www.worldshipping.com. in	Accolades & Articles / People / Press Releases / World Shipping, Inc.
CLEVELAND, OH – May 24, 2017 – World Distribution Services (WDS) is pleased to announce the relocation of its larger and newly built warehousing and distribution facility in Savannah, GA, close to the Gateway of American Commerce, the Port of Savannah. The state-of-the-art 150,000 square-foot facility, with contiguous expansion space, is now fully operational. Located just 5 minutes away from the Port of Savannah with easy access to the Interstate, the new WDS Class-A facility boasts 20 dock doors, increased security with cameras, dock height and ground level access, and indoor loading, crossdock and transload capabilities. It is also Liquor Permitted, USDA and FDA Certified. All of these features enable WDS to provide exceptional warehousing and distribution services for customers in the machinery, chemical, automotive, food, beverage, and apparel industries. Previously WDS was leasing a 100,000 square-foot warehouse in Savannah, GA that has now transitioned to the new location with room to grow. The transition was spurred to meet the increasing need for warehousing and distribution space in the region. According to JOC, growing Asian import traffic and e-commerce have been fueling the demand for space, with the port of Savannah having its busiest year ever in loaded container traffic in 2016, handling 2.94 million twenty-foot equivalent container units, a 2.5 percent increase over the prior year. As part of The World Group, WDS also expanded their logistics network with their intermodal drayage company, who have added a significant number of trucks into the market to support WDS and World Shipping clients. WDS continues to bring competitive advantage to the Savannah market and enjoys becoming an active member in the local maritime logistics community. World Distribution Services (WDS) is a leading provider of creative domestic and global supply chain solutions, specializing in warehousing and logistics. WDS possesses the facilities, network, equipment, expertise and, most importantly, a team of professional, talented staff whose mission is to exceed customers’ expectations. In addition to the WDS corporate headquarters located in Cleveland, Ohio, WDS offers 11 strategic warehousing locations across the United States including most major East Coast, Gulf and West Coast port locations. The company also operates three intermodal Class I rail facilities in the Midwest and Columbus, OH that offer bulk transload services, specialized heavy and oversize transloading capabilities and private intermodal rail service. WDS is a division of The World Group, leveraging over 55 years of collective experience in providing cargo transportation services across the globe. For more information, please visit www.worldds.net. CLEVELAND, OH (April 27, 2017) – The evolution of World Shipping, Inc., headquartered in Cleveland, OH, reached another milestone as their ocean NVOCC, forwarding and airfreight subsidiary, UWL, Inc. celebrated its 10-year anniversary in the first quarter of 2017. Responding to the global market shift in the shipping industry, World Shipping created United World Line, now UWL, Inc., to serve as its asset-based, worldwide 3PL division in 2007. UWL is a completely full service, one stop shop for any clients’ global shipping needs. The company offers air and ocean services through a large network of ocean carriers, airlines and distribution channels. UWL’s advantages are significant, with World Shipping’s 55+ years of international container handling experience and full integration with other World Group asset-based companies. When asked why he feels UWL has seen tremendous growth, Wright says: “One of the greatest keys to our success is our people, and the genuine heart at World Shipping. We have always operated as a customer centric organization, with unparalleled service at the local level. This a culture we are also pushing out into our regional expansion across the USA and we continue to operate as one company, not as a company of fragmented pieces.” UWL’s unique ethos is a driving force and will sustain them for many years to come. Innovation, client-centricity and a world-class team approach have defined the global 3PL NVOCC & freight forwarding company since its inception. The future for UWL is very bright, and the Cleveland-based company has seen tremendous growth over the last decade. UWL now has over 170 employees and continues to grow its team of supply chain professionals, working to stay one step ahead – WE’RE ON IT! Bulk Liquid Logistics and its own, in-house FlexiTank product. UWL is a full service, asset-based global 3PL. We are fully licensed and bonded to provide freight forwarding, customs house brokerage, ocean freight (FCL, LCL), bulk liquid logistics, supply chain visibility, vessel chartering services and project cargo and airfreight internationally. We also provide road and rail freight, overweight cargo solutions, domestic truck brokerage (FTL/LTL), warehousing and distribution using our network of 8 owned and operated warehouses strategically located across the U.S. We use technology to tie these services together to provide worldwide, integrated solutions. UWL is headquartered in Cleveland, Ohio with additional management offices across the U.S., Asia, Europe and South America. In response to the growing industrial warehousing demand in Savannah, GA, World Distribution Services (WDS) announced the relocation and expansion of its warehouse and distribution facility in the Southeast region. The newly built, Class-A, 150,000 square-foot facility is ahead of schedule, with an anticipated opening date set for June 1, 2017. WDS currently has an existing 100,000 square-foot warehouse in Savannah, GA that will soon be transitioning to its new location. As part of World Group of Companies, WDS also expanded their logistics network with their intermodal drayage company, who have added a significant number of trucks into the market to support WDS and World Shipping clients. WDS continues to bring competitive advantage to the Savannah market and enjoys becoming an active member in the local maritime logistics community. World Distribution Services (WDS) is a leading provider of creative domestic and global supply chain solutions, specializing in warehousing and logistics. WDS possesses the facilities, network, equipment, expertise and, most importantly, a team of professional, talented staff whose mission is to exceed customers’ expectations. In addition to the WDS corporate headquarters located in Cleveland, Ohio, WDS offers 11 strategic warehousing locations across the United States including most major East Coast, Gulf and West Coast port locations. The company also operates three intermodal Class I rail facilities in the Midwest and Columbus, OH that offer bulk transload services, specialized heavy and oversize transloading capabilities and private intermodal rail service. WDS is a division of The World Group of Companies, leveraging over 55 years of collective experience in providing cargo transportation services across the globe. CLEVELAND, OH – March 30, 2017 – ContainerPort Group, Inc. (CPG) is pleased to announce the opening of its newest terminal location in Memphis, Tennessee. CPG expands into Memphis with access to the world through its central location and world-class transportation infrastructure. It is an ideal area for CPG’s intermodal drayage, with strong rail and road presence. Memphis is one of only four U.S. cities to be served by five Class I railroads and holds the 4th largest inland port in the US. The new terminal location is positioned near the BNSF, with easy access to all other Memphis area rail ramps and convenient to local interstates 240 and 55. The 2.5-acre terminal offers intermodal trucking services and includes a seasoned staff and growing fleet, providing customers the consistent, reliable service seen throughout CPG’s full network since its founding in 1971. ContainerPort Group, Inc. is a leading provider of services to the container shipping industry and is celebrating over 45 years of operation. CPG provides drayage services, full service depot operations (CY), warehousing and logistics to ocean carriers, railroads, shippers/receivers, and freight intermediaries with concentration on international cargoes. Headquartered in Cleveland, OH, CPG operates facilities and terminals in 19 distinct geographic markets throughout the Midwest, Ohio Valley, Northeast and Southeast regions.